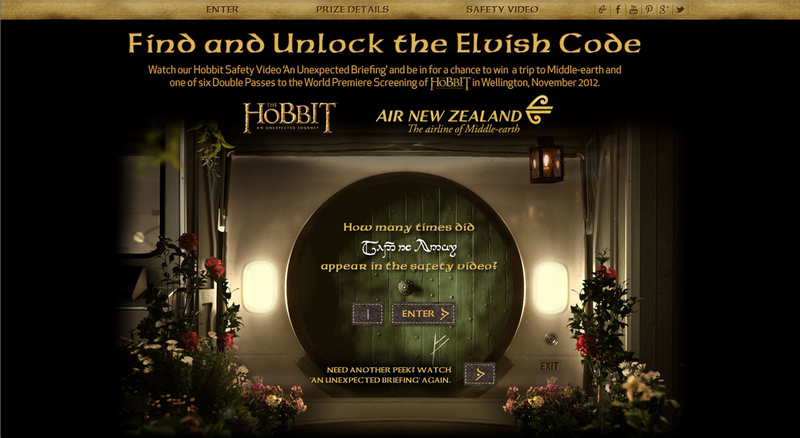 Air New Zealand is running “An Unexpected Briefing”, a safety video inspired by The Hobbit: An Unexpected Journey. Produced in conjunction with Weta Workshop, the 4 minute video features an Air New Zealand captain and flight crew dressed up in Middle Earth attire, with cameo appearances by director Peter Jackson, Gollum, and Mike and Royd Tolkien, two great grandsons of J.R.R Tolkien, author of the Hobbit and Lord of the Rings. Customers who pay close attention to the safety video could win a once-in-a-lifetime Middle-earth experience in New Zealand. Hidden within the video are secret Elvish codes. Viewers who spot the codes can then visit www.airnzcode.com/hobbitmovie to unlock the door to Bag End and be in to win a trip for two to New Zealand, including a tour of the Hobbiton movie set, a visit to the Weta Cave in Wellington, and double passes to the red carpet global premiere of The Hobbit: An Unexpected Journey. 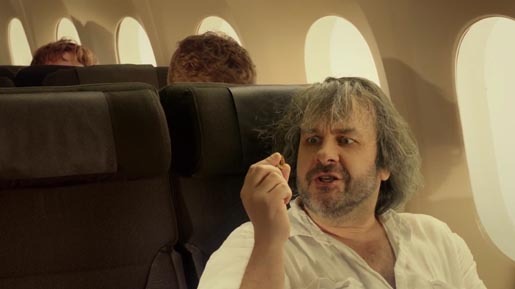 The campaign is being promoted on Twitter with the hashtag #AirNZHobbit. Kiwi Dean O’Gorman, who plays the Dwarf Fili in the movie, can be spotted amongst the passengers in the safety video, along with two super-Hobbit fans from TheOneRing.net – the web’s largest Tolkien fan site. 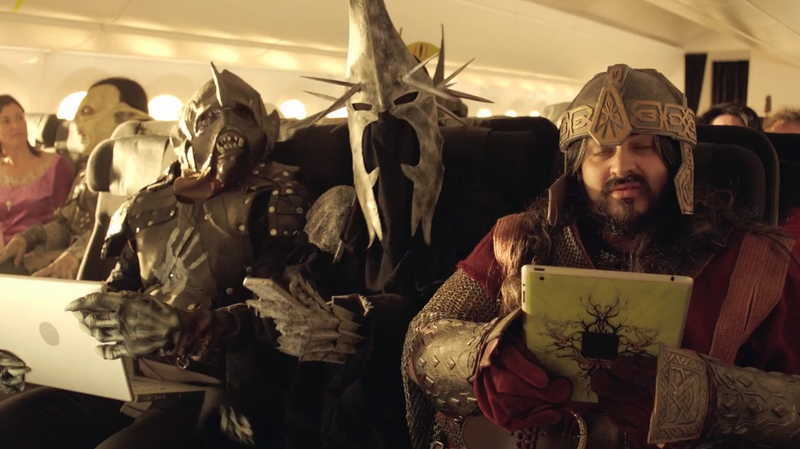 Air New Zealand General Manager Marketing and Communications Mike Tod says the release of ‘An Unexpected Briefing’ marks the official start of Air New Zealand’s two-year global marketing programme dedicated to The Hobbit Trilogy. 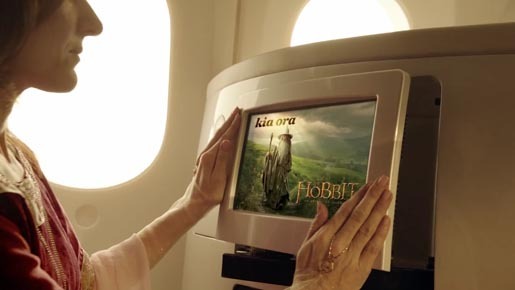 “We will invest several million dollars in Australia, Asia, the United States and Europe on uniquely Air New Zealand marketing efforts related to The Hobbit movies to attract more tourists to New Zealand. We are also working extremely closely with Tourism New Zealand on a range of initiatives, including supporting bringing several hundred journalists to experience Middle-earth,” he says. 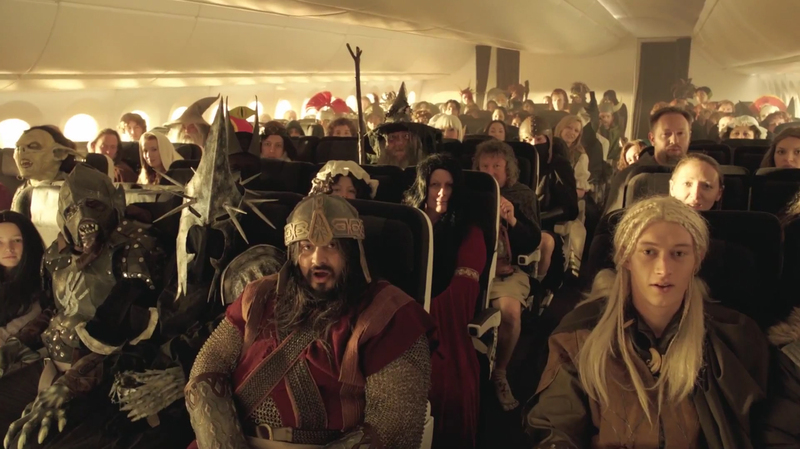 A forthcoming feature of Air New Zealand’s support of The Hobbit Trilogy will be a themed aircraft which will be revealed prior to the movie’s global premiere in Wellington on November 28. Agency producer was Liz Rosby at Fox Rosby Ltd. Filming in Auckland was shot by director Josh Frizzell via 8 Commercials with producer Katie Millington, production manager Sarah Sibun, production coordinator Vik Fortune, 1st assistant director Liz Tan, 2nd assistant director Teuila Field, directors assistant Julian Geraets, director of photography John Toon, VFX supervisor Bruce Carter, stills photographer Paul Ross Jones, gaffer Sean O’Neil, grip Jerry Mauger, production designer Grant Major, props buyer Grace Mok, scenic painter Giles Smith, wardrobe stylist Liz McGregor, makeup artist Deb Watson, sound designer Malcolm Cromie, unit manager Pete Mourenhout, op maker Karl Sheridan, storyboard artist Phil Rimmer and editor David Coulson. Filming in Wellington was produced by 1st assistant director Emma Cross, producer Shana May Palmer, unit/runner Kendall Finlayson, camera operator Nick Hutchinson, camera assist Garth Michael, digital split operator Rohan Satyanand, best boy (prelight) Byron Sparrow, props stand-by Ben Milsom, wardrobe/MUP Cath Maguire, sound designer Chris Hiles. Post production was done at Toybox by colourist Andrew Brown, producer Nanette Miles. 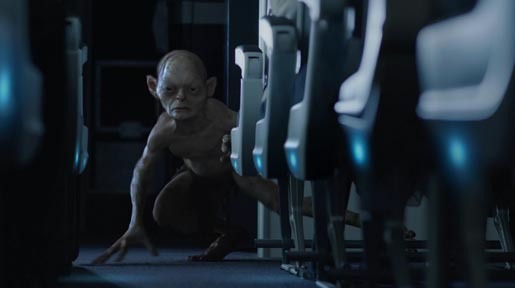 Gollum animation was produced at Weta Digital.